When I graduated from college, I remember the relief of never having to take another final exam or sit through another boring lecture and the utter terror at finding a job and figuring out the rest of my life. With those big decisions to deal with, the last thing I worried about was was staying fit and exercising, something I eventually regretted. What I learned is that going from a relatively active college life to a sedentary full-time job leads to weight gain, something you can avoid if you establish a healthy routine now. Exercise can relieve stress, easing you through this difficult transition, while boosting your confidence at a time you need it the most. You'll also have a big advantage going into the workforce. It's easier to work in exercise from the beginning than to squeeze it into a stressful work schedule later on. Figuring out how to do that can be a challenge, but all it takes is a little knowledge and planning to get started on the right foot. If you had access to a free campus gym or discounted membership elsewhere, you now have to pay full price or find other ways to exercise. At home: Set up a home gym with basic equipment such as dumbbells, resistance bands and a stability ball. If money is an issue, there are ways to save money by buying secondhand equipment or even making your own weights. Learn more ideas for home exercise and workouts you can do at home. 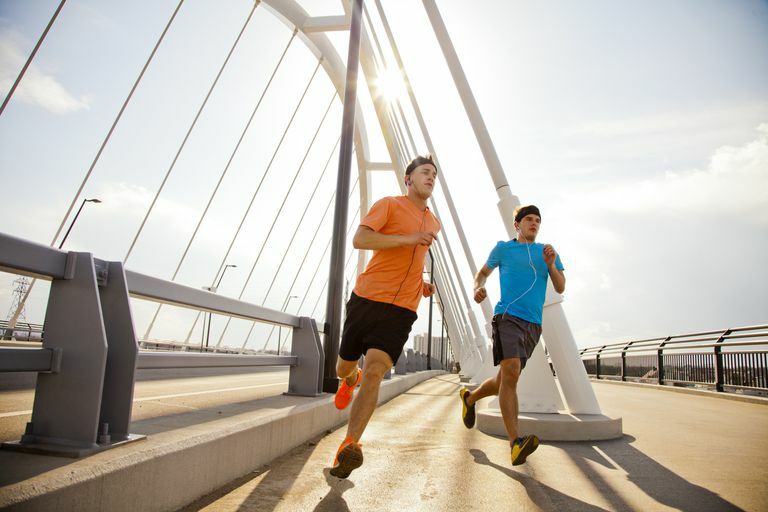 Outside: Running and walking are great ways to stay fit and manage your weight and only require a good pair of shoes. You can also try cycling, playing tennis or pick-up basketball games at your local park or meet up with fitness groups in your area. To get started, try this outdoor circuit workout. At the Gym: To save money, look for small local gyms that charge lower fees (some are just $19.95 a month, such as Cardinal Fitness in Illinois), community centers, or your local YMCA, which usually aren't as expensive as larger health clubs. At the Office: If you have a job, take advantage of your on-site fitness center, if you have one, or any health club discounts your company offers. In college, you may have more freedom and time to exercise. A full-time job will take up most of your day, leaving less time and energy to workout. Walking from class to class or from party to party can burn calories. Sitting in front of a computer for 8 hours a day doesn't, which can quickly lead to weight gain, backaches and other aches and pains. More about staying fit at work. Graduating and going out into a different world can be overwhelming and it's hard to set your priorities. You may be tempted to skip exercise because you need all your energy to find a job or deal with the tiny nervous breakdowns that occur during big life changes. Learn more about getting motivated and staying committed to exercise. Whether you ease into post-college life without a worry or you freak out all the way, exercise is an important part of the transition process. Be aware that moving into the workforce means you have to get used to working on someone else's schedule and take control of the time you do have to fit in as much exercise as you can. Starting now will help keep your weight in check and your stress at manageable levels. How Can Runners Stay in Shape on the Racing Off-Season?